According to a new update announced by Japanese messenger app Line Messenger, the messages and posts on the platform will disappear after 24 days. This update will first be available for Android phones and then come to the iOS platform. It will also have a self-destruction feature that will users you to mark a post on Timeline feed that they choose to destroy. So, this means that users will be able to choose which posts they want to stay and which ones they want to vanish by tapping on the small icon created next to the ‘post’. The Timeline of this messaging app is similar to that of Instagram or Facebook’s feed. WeChat is a messaging app that’s popular in China and has a similar timeline feature that works like a messaging app as well as social network for the users. Snapchat was the first messaging app to introduce the 24-hour expiring content concept. The feature was introduced in 2013 and it was named Stories. At that time, the feature was introduced with the intention to add life to the self-destructing posts sent by users. 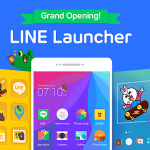 Line is now using the same concept with a twist, to add a life span’ for the regular posts.